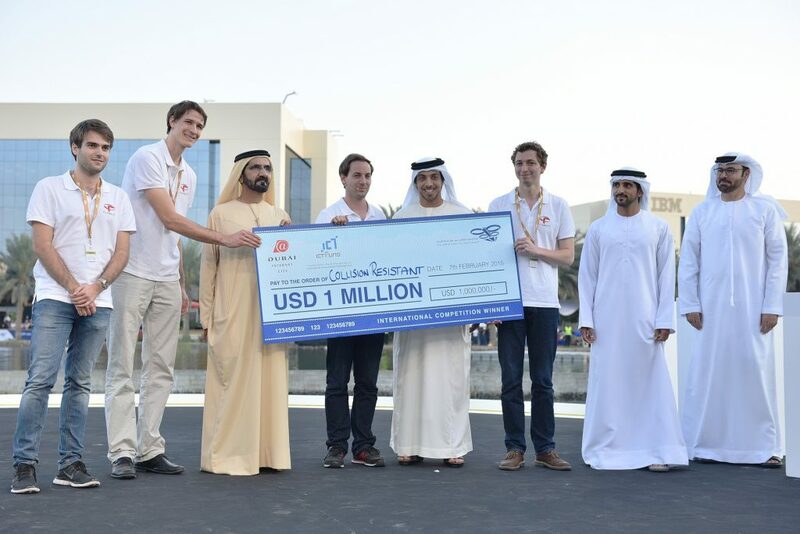 Recently, the citizens of Dubai witnessed an incredible event – The UAE Drones for Good Awards. The prime objective of this event was to show the full potential of drones these days. The event is famous for fascinating Nokia and Etisalat showcases. Besides, there were lots of participants, showing their projects. In this review, we will get to the bottom of this incredible event and find out in what areas (except for making photos or videos) they can be used. This event gathered lots of talented people, who wanted to share their inventions. The main prize of this competition was AED 4,6 million. In addition to the fantastic drone presentations, a strange mechanical arm treated all guests of this event. There were lots of fantastic exhibitors, but as a result, there were three finalists. The task of all competitors was to create a drone which can help society in cases of emergency. The team which took away one of the prizes was led by Talib Muhammed Alhinai, a Ph Degree Candidate. His team created an incredible drone which can find and repair damages of pipelines. As a rule, repairing pipelines requires time and efforts. Furthermore, the task like this is not cost-effective. In some instances, it is dangerous for health to repair pipelines personally. For that reason, this team offered an ideal solution. They developed a drone, which can inspect the pipelines, find where the leak is and even repair it! The team from Oakland University in the USA also deserves attention. They managed to collect a whopping $1million prize. Their creature is a cross-functional drone, which can dive underwater. The prime objective of this device is to inspect objects located underwater. These may be oil spills, inspection of bridges or just monitoring the moving sharks or see whales. It stands to mention that this competition attracted lots of participants from more than 165 countries. There were more than 1,000 submissions. Nokia Networks Project: Does It Deserve Attention? As far as drones became an integrant part of our lives, more and more people start using them in different industries. For that reason, this event also gave a chance to a number of leading players in the telecommunications industry to create and present their achievements. For instance, Nokia Networks presented its innovative Unmanned Aerial Vehicle Traffic Management (UTM) concept. This is a useful invention allowing governments and network operators to control the usage of drones. These days, multiple industry sectors can’t do without drones. Nevertheless, all these devices need to be carefully managed. 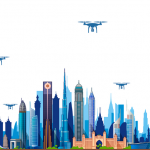 This company created the technology, which provides the centralized controlling of UAVsby dint of the operator’s LTE network. This achievement is really great! Besides, it bears mentioning that Nokia is not regarded as a company, specializing in creating drones. Nevertheless, the developers of this company managed to create a very useful system. They believe that the development of drones is very important these days. Besides, this technology really influences the evolution of IoT. Their technology proves the fact that drones are not those devices you can use when you want. In some instances, they may cause troubles. For that reason, their invention is an ideal confirmation of the fact that one can make cities safer and even smarter. All these flying objects without consistent control cause a potential risk to the citizens of this city. So, the invention of Nokia Networks is definitely amazing! Etisalat is one more company which took part in this competition. This is the leading Internet hubs in the Middle East. Its overarching goal is to provide connectivity in this region. This company also made a conclusion to present their project at this event. 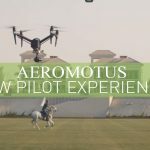 As far as Etisalat is using drones in their commercial operations they also decided to showcase their drone technology. This company uses drones in different purposes. One of them is to deliver medicines. Yes, yes, if you still don’t know, drones are not just for making incredible images from the sky. They can also save lives! Their drones are equipped with several sensors that can detect the emergency. The device can easily beam the information to the hospital, allowing doctors to do the medical expertise. Except for the above-mentioned reason, this company uses drones to deliver polio vaccine. Such countries as Nigeria, Afghanistan and Pakistan require this vaccine. The biggest problem for this company is to transport this product at the lowest temperature. Nevertheless, this issue is not a problem for them. Their drones are equipped with special fridges, allowing them to transport vaccines to remote locations. First, it was a real problem for them because the battery life of drones is really short and they couldn’t deliver vaccines to remote locations. Nevertheless, the company managed to find a solution. They created special base stations every 40 kilometers. All these stations are equipped with power generations. Here, drones are charged and sent to their final destinations. The company also confessed that several drones were shot down in Nigeria. Nevertheless, it doesn’t mean that their invention isn’t useful. Crashes may happen but the cost of device is nothing as compared to a number of saved lives. Besides, this company collaborates with the government in order to reduce the amount of restrictions for the drone usage. As you see, such competitions as “Drones for Good” are not just ordinary events. They really promote the development of incredible projects that bring lots of positive aspects to the modern society. Such drone technologies can be used in various sectors, comprising emergency or transportation facilities. We hope that in the near future, the modern world will pay more attention to such events and will use the achievements of talented teams in everyday life.